Price listed is for fourteen glass stones. 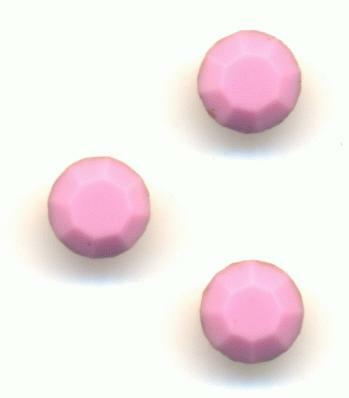 These are 32pp (4.0-4.1mm) Swarovski opaque rose rhinestones. They have faceted tops and pointed gold foil backs. Article number 1100.